Pizza is probably the most well-known Italian dish in the entire world, loved by everyone! This class is a very hands-on, family friendly and fun experience for students of all ages! 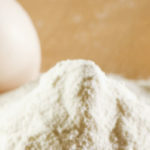 With our English-speaking Italian chef, learn the techniques of kneading the all-important pizza dough, as Italians have been doing for two centuries. What to adorn your pizza with? Create a Pizza Salentina and have fun choosing between deliciously local ingredients like Stracciatella, salty Capocollo di Martina Franca, wonderfully fruity black olives or sun-dried tomatoes. Decide if you want to keep things simple ‘bianca’ without sauce, or add a rich tomato sauce for a pizza ‘rosso’ with great local peeled tomatoes. Recommended as a late afternoon class, as pizza make for a satisfying early evening treat, with local wines. 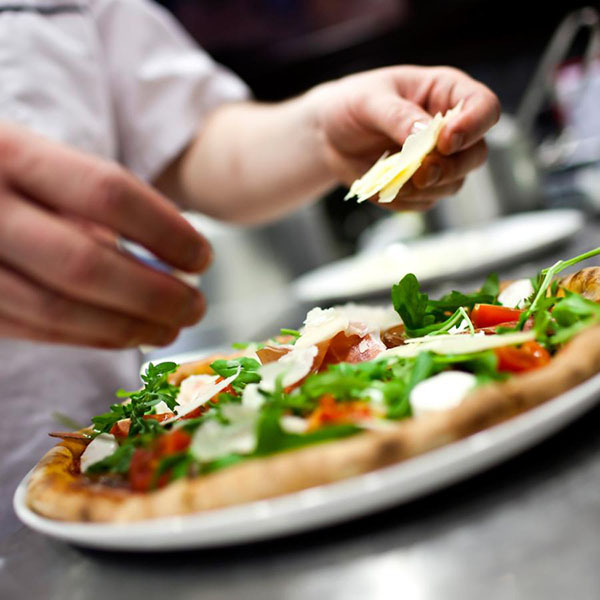 During the course you will learn from chef Gianna in the realization of all phases of the pizza.The cooking class , will start from the fundamental: the dough! After learning the secrets to being able to create and work the perfect dough. The next step will roll it out in baking trays and season it with your favorite ingredients. The pizza is then baked in a high temperature electric oven, so you can easily prepare your pizza at home too. Guests can relax with a glass of wine or a good local beer in the kitchen or in the garden Cooking Experience while enjoying your freshly baked pizza! The question on whether pizza is a junk or health food is a serious debate. Everything depends on what kind of pizza you are going to eat. Commercial pizzas bought from a fast food chain or frozen at a supermarket usually contain high amount of refined carbohydrates, fat and sodium. That’s why pizza is commonly considered junk food in the USA. But in the majority of Italy pizza is an artisanal product, made in the right way and with simple, fresh good ingredients and is considered part of the Mediterranean diet. If using fresh, genuine and quality ingredients, pizza can be a healthy, nutritious meal, also suitable for those who follow a slimming regime. Eat pizza once a week does is good and can be considered a complete meal if accompanied by a serving of vegetables to help the supply of minerals and vitamins. On average a margherita pizza, or vegetarian, brings about 800 Kcal, the marinara (without mozzarella) only 600 Kcal. The higher you go with the seasonings, adding ham, or sausage or cheese, the greater the calories. Learning to cook pizza yourself allows you to control the ingredients and make it healthier. Attend Cooking Experience’s “Pizza Making” cooking class and find out how to indulge yourself in pizza guilt free! Gianna awaits you in her kitchen, to test your skills and prepare your favorite pizza together!